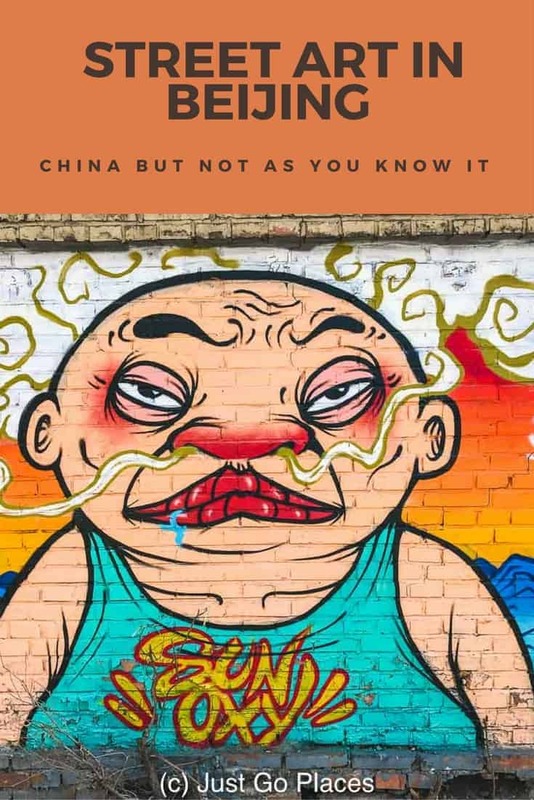 How can you get street art in an authoritarian country like China? Pretty easily. Just limit it to certain areas so it’s technically sanctioned. Win/Win for the people who are given the illusion of freedom and for the government who is still in ultimate charge. 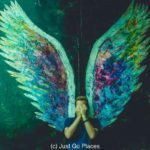 In our time in the capitol of China, we found several places to visit in Beijing which could easily have been a young urbanite hangout in any number of cities around the world. 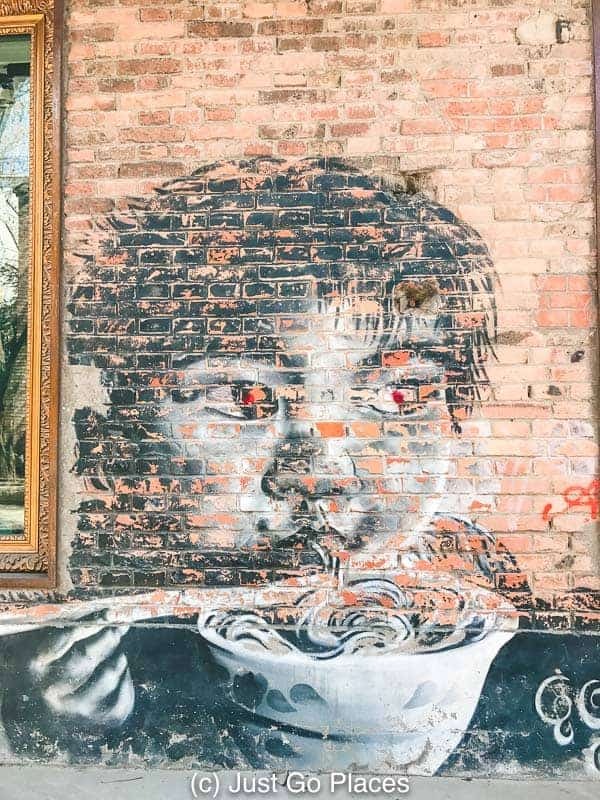 For example, the street art and the contemporary art galleries in Beijing congregating around the 798 Art District and the craft beer and boutiques in the hutongs. Is this really Beijing? Yes, it is. 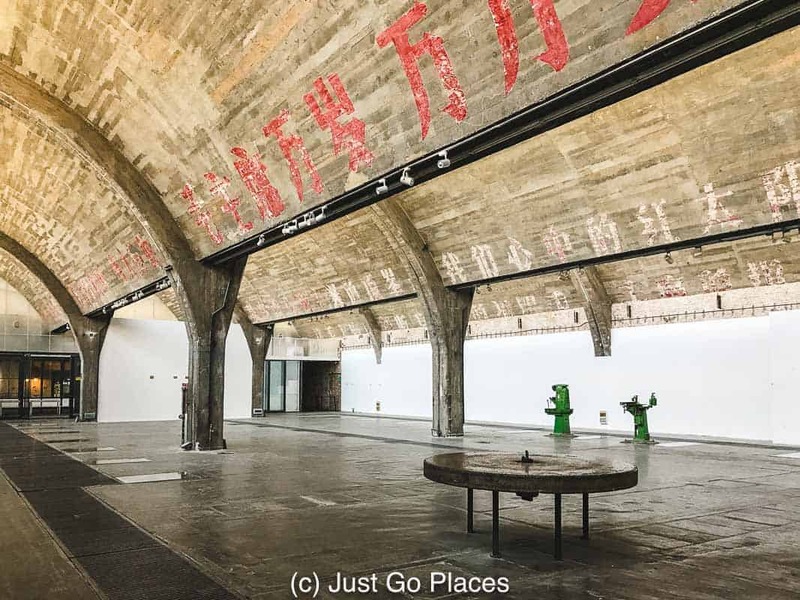 You get lots of contemporary art galleries and street art at the 798 Art District in Beijing. The buildings in the 798 Art District are part of a former industrial unit that built machinery for the military. The Chinese government gave numbers (like 798) to its factory buildings so that no one knew what was being made inside. Of course, if it started with the number 7 you knew it was stuff for the Chinese military! The buildings were created in a Bauhaus style by the East Germans who were brought in to joint venture the works. The buildings were huge with lots of light through large windows. The factory opened in 1957 to much fanfare in both China and East Germany. The Bauhaus inspired warehouse spaces ooze Industrial-chic. In its heyday, the 798 Art District had more than 40,000 workers living and working in the area. The factory had a reputation for being one of the best in China. The workers were encouraged to have after-work activities such as music and book clubs as well as a healthy dose of Maoist indoctrination to wash it all down. During the Cultural Revolution, you got Chairman Mao’s words of wisdom painted on the walls. In the 1980’s the factory was abandoned under Deng Xioping’s reforms known as “Socialism with Chinese Characteristics.” That’s what you have today – this weird hybrid system of rampant capitalism by the few, a growing middle class that like to shop until they drop and an authoritarian government that lets little things slide when it suits them. The Bauhaus-inspired huge warehouse spaces and cheap rent were perfect for contemporary artists to take over. 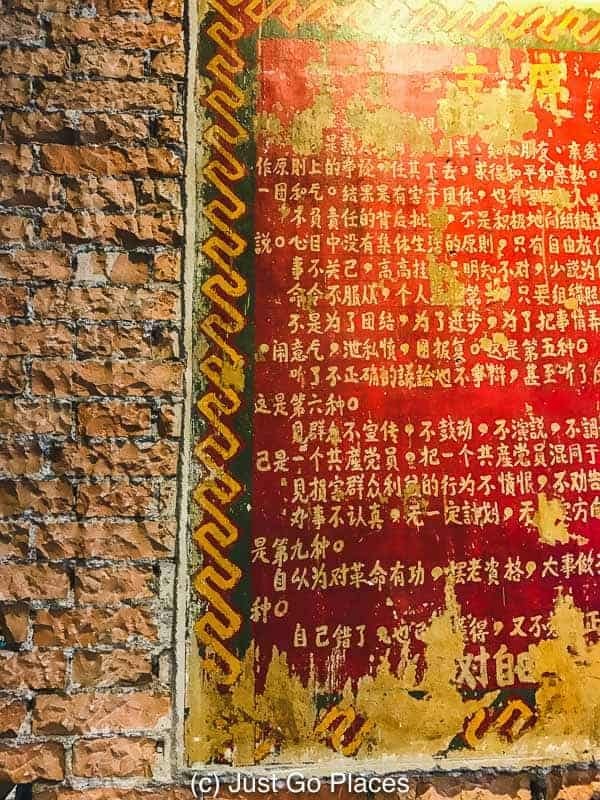 With a bit of industrial chic, ironic (but original) Maoist slogans and wide streets, the area became dotted with street art, art galleries, boutiques and cafes. We went on a weekend and the whole place was alive with trendy young things. We ate At Cafe which was the first cafe in the 798 Arts District. 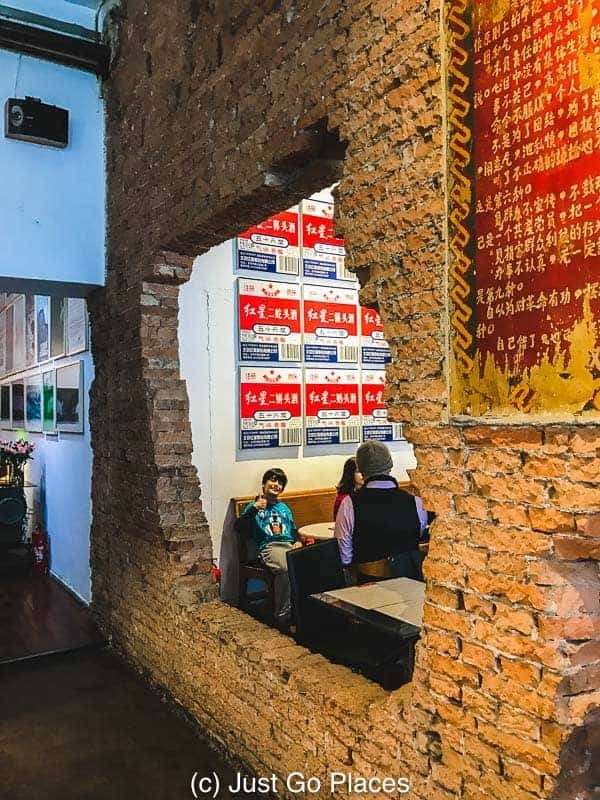 In keeping with the Chinese theme that it’s who you know that counts in modern China, the owner of the At Cafe is the sister of one of the original co-founders of the 798 Arts District. The cool crowd sit at outdoor cafes in their sunglasses people-watching and playing on their smartphones. 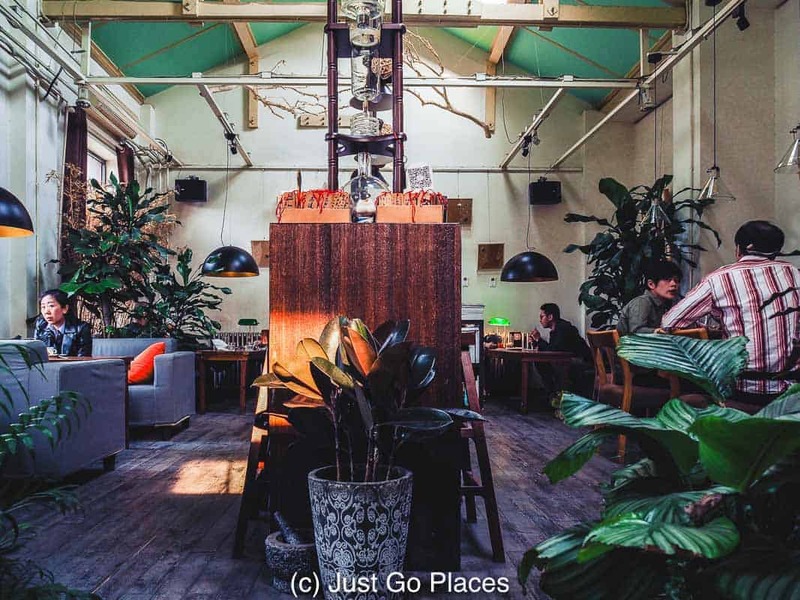 It honestly could be anywhere young, urban and hip – London, Brooklyn or even downtown Los Angeles. My kids loved one cafe which we thought was a cat cafe. Unfortunately, the cats were only in the window and we were not allowed to touch them. For those of you worried about the cat’s welfare, there was a store person in the restaurant window playing with the cats. Once again though, it wasn’t quite what I was expecting – a cat cafe that wasn’t a cat cafe. 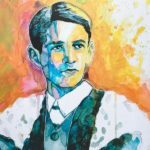 The 728 Art District has lots of art which is free and open to the public. 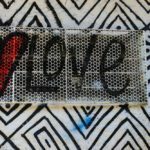 If you think about it in terms of London, the street art and art galleries of Shoreditch would be the equivalent of 798 Arts District. 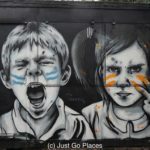 Although Shoreditch is very cool with lots of street art and art galleries and tourists, the area has become somewhat unaffordable for actual up-and-coming artists. Just like in London where the street artists have started moving into Hackney, the Beijing scene is diversifying into some of the hutongs. Hutongs are the alleys in Beijing formed by the sides of the courtyard houses that line them. These courtyard houses and streets originated from the Yuan Dynasty (the late 13th century) and later dynasties. You can have a nice new high rise with plumbing or a hutong with communal bathrooms – I know what I’d pick! 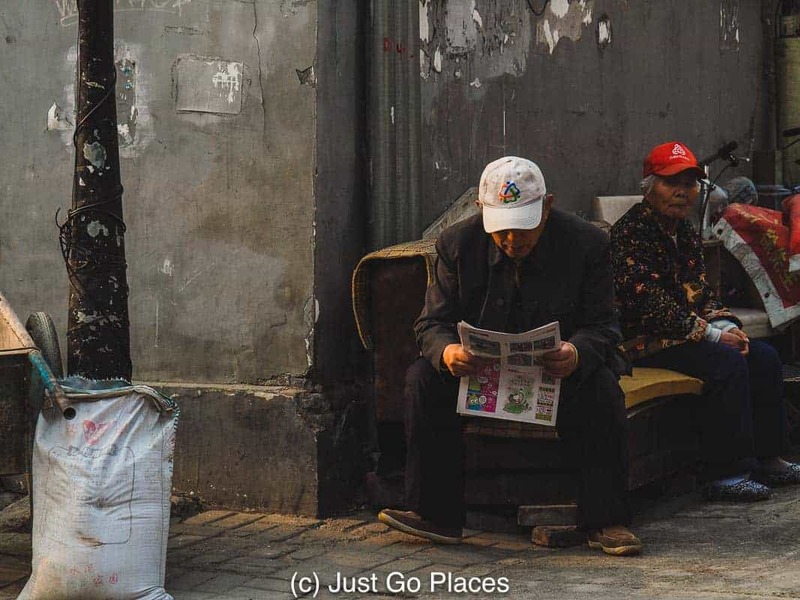 In China’s rush to modernisation, hutongs were not considered optimum housing. Even though they were centrally located, courtyard houses were small, crowded and lacked plumbing. 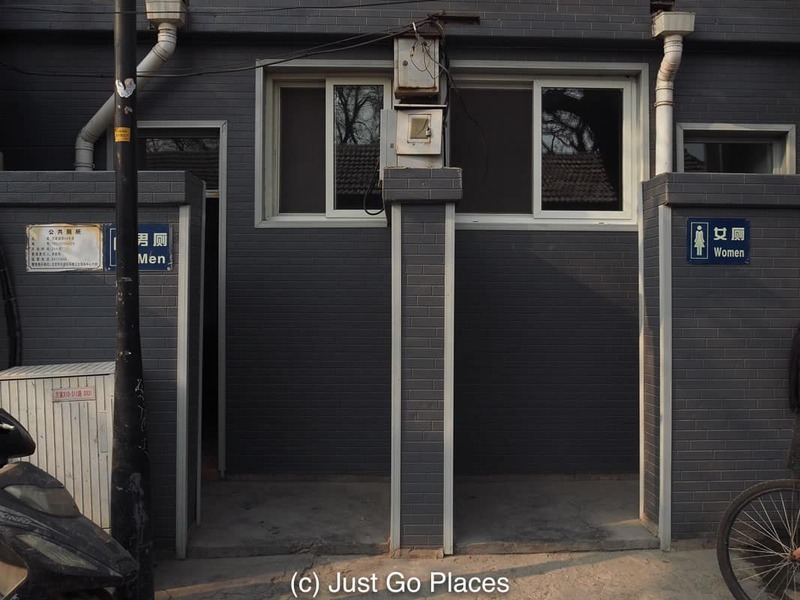 It’s not uncommon to see neighbourhood toilets in a hutong. In the mid-20th century, there may have been over 3000 hutongs in Beijing. Now, there are only about 1000 hutongs surviving. 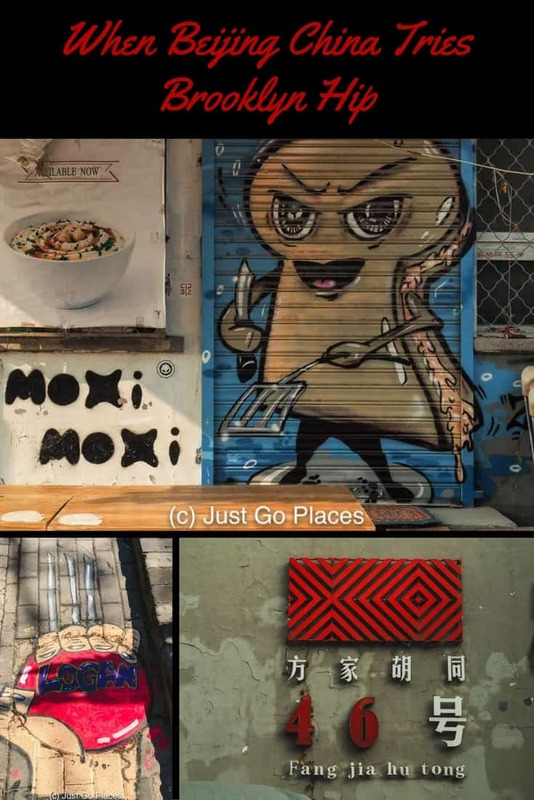 Some hutongs though have become trendy places to visit in Beijing. 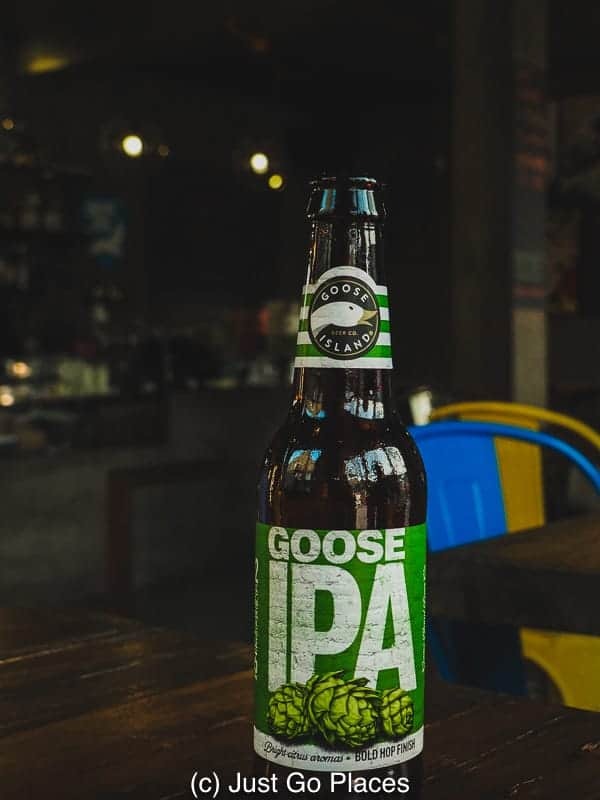 For example, Doujiao Hutong in the Dongcheng District, is home to Beijing’s first microbrewery, Great Leap Brewing (opened by American expats). 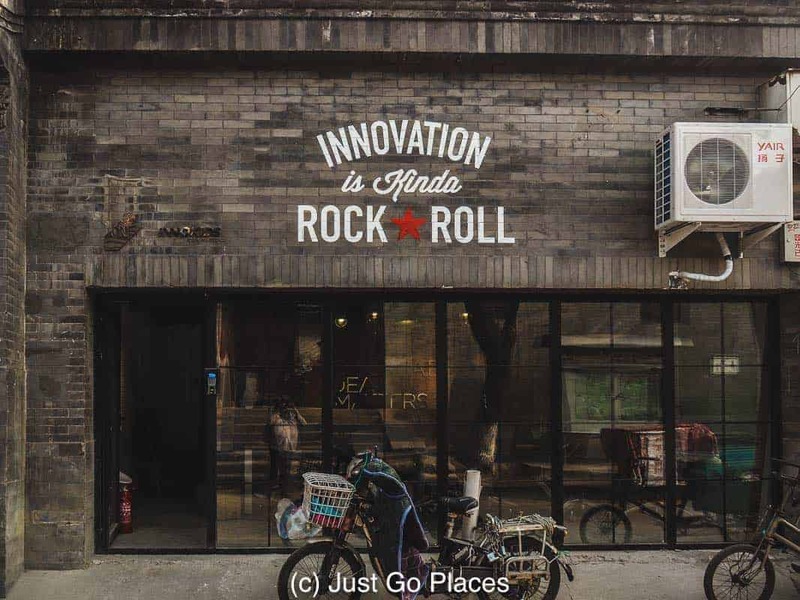 Fangjia Hutong has an up and coming hipster scene and an active night life. 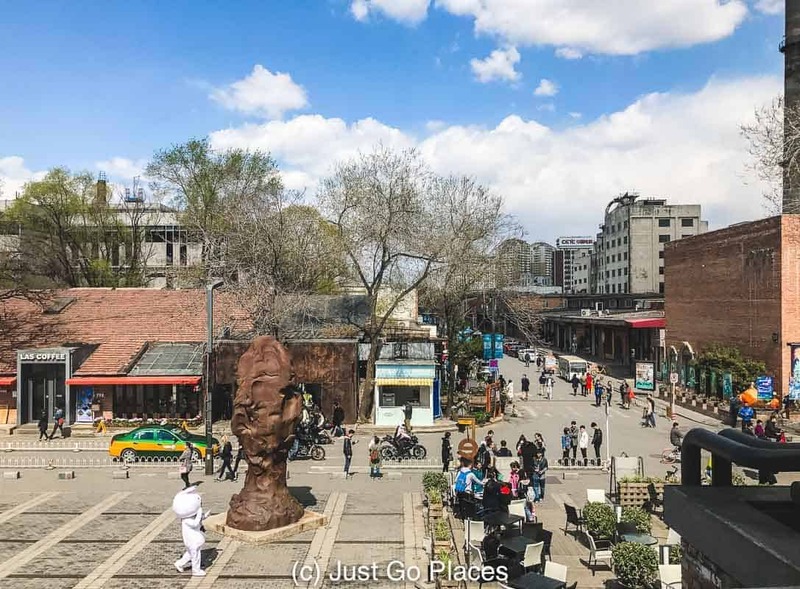 The area around Gulou (near the Drum and Bell Towers) is another popular area – Houhai Bar Street (the name says it all) and Baochao Hutong is more diverse with a boutique hotel, restaurants and retail therapy on offer. We decided to visit the Fang Jia Hu Tong in the Dongcheng district. 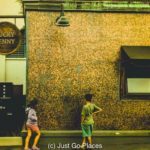 Known as for its up and coming hipster scene, looking around you can definitely see this hutong is a neighbourhood in transition. 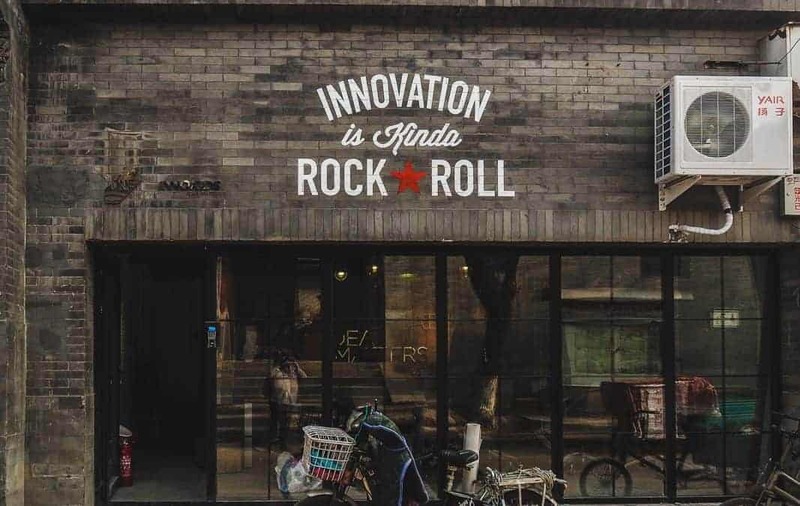 When did innovation become rock & roll in China?? There are pockets of gentrification in Fang Jia Hu Tong but you still see some of the old timers hanging around their homes. 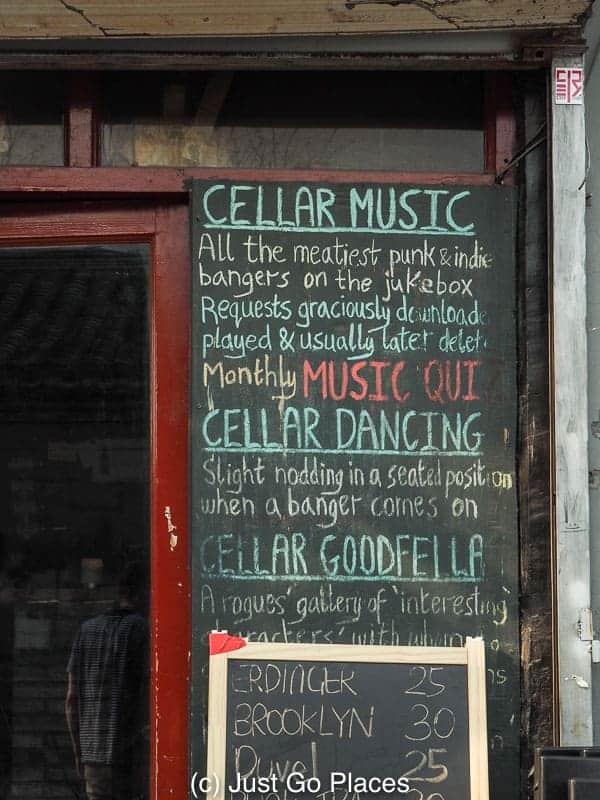 In the evening, Fang Jia is a popular place for Beijing hipsters and expats to hang out. We ate at local hipster joint Ramo with its huge windows and Tolix seats. It has a great view of the action outside and good food and beer. What more could you want? The 798 Arts District is definitely more of a daytime venture than Fan Jia Hu Tong at least as it currently stands. 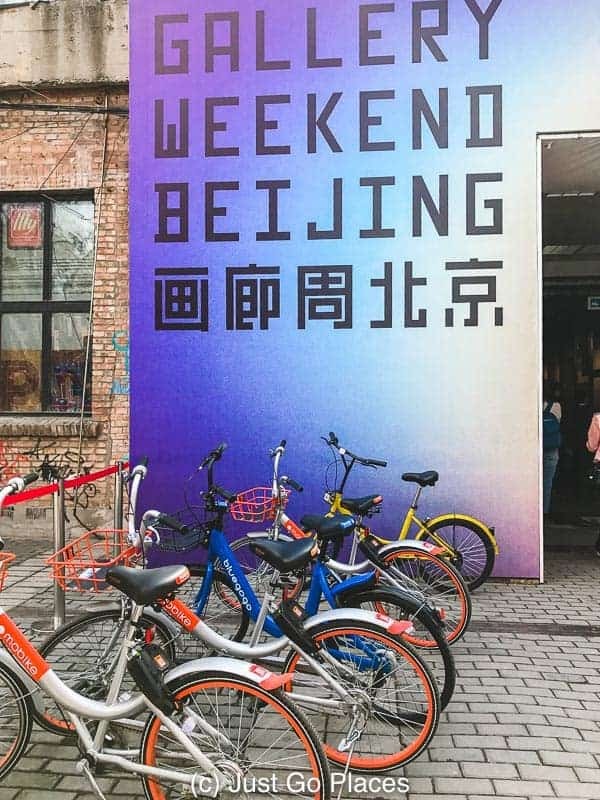 On the other hand, things in China seem to move at the speed of light so who knows where the trendy places to visit in Beijing will be in a year’s time? We took a driver and guide to the 798 Arts District and to the Fan Jia Hu Tong. If you want to stay in the 798 Arts District, the Gracie Art Hotel offers boutique hotel accommodation. 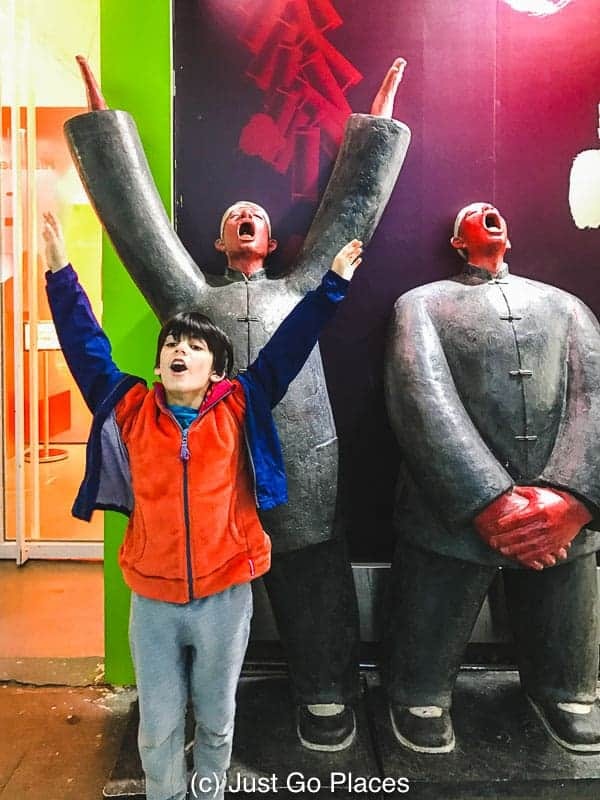 We stayed at what is considered the best of the renovated courtyard hotels in a hutong in Beijing – the Red Wall Garden Hotel in the Wangfujing area. We loved it so much that we stayed there on both our visits to Beijing. Context Tours do a Hip Hutongs tour if you would like a walking tour and deeper understanding of how hutongs are changing with the times. 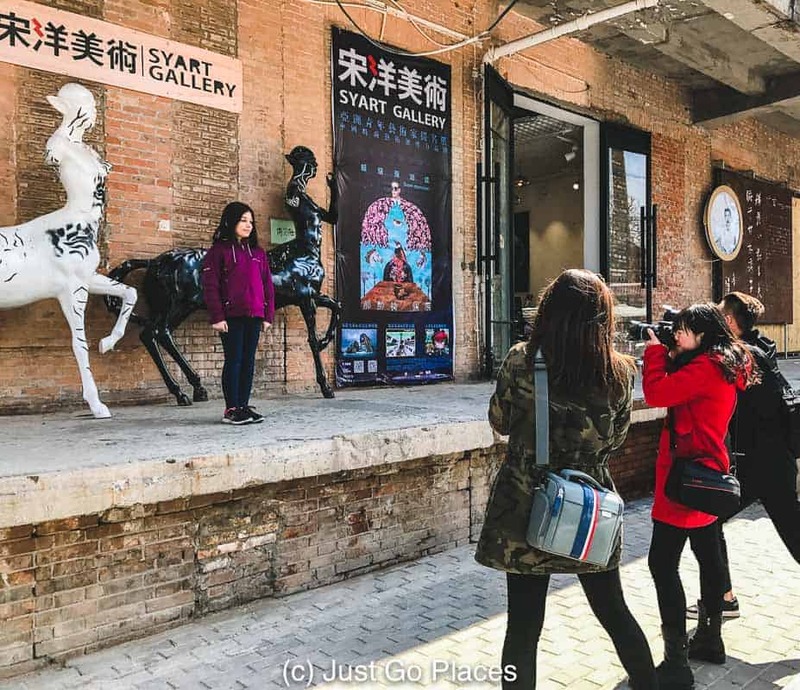 You can also do a rickshaw ride tour around a hutong or take a walking tour of the shopping area in Nanluoguxiang hutong (part of Gulou mentioned above). I read all article until the end of this post, I saw the picture and I can’t stop laugh. That is so funny picture. It’s traditional among Chinese grandparents to distrust Western-style diapers. Hi, I’ve just got back from Beijing, and it’s transformed itself in the 9 years since I was last there. I was there before the Beijing Olympics and this kind of ‘trendy’ boho neighbourhood was completely unheard of. 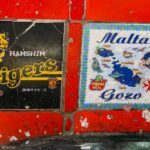 It’s now a real hip city with alot going for it, but this fact seems to not have made it to the guides yet! Now is, in my opinion, one of the best times you could possibly visit Beijing! I expect you are right!